Mini Sized! Multiple Colors! Much Fun! 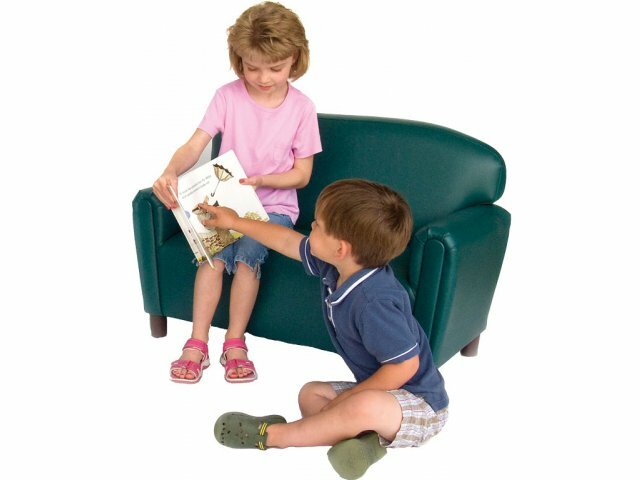 Sized for preschoolers ages 3-6, these sturdy units have an appealing cozy-cushioned design that will add a comfortable, homey look to any day care center or nursery. 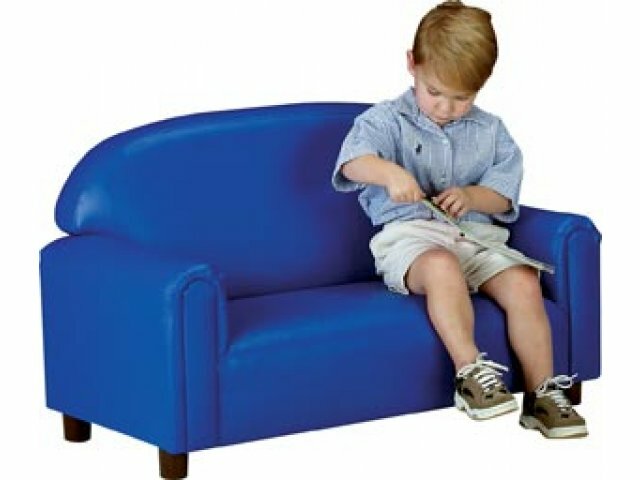 This is definitely furniture kids can play on - and will still look great - year after year! 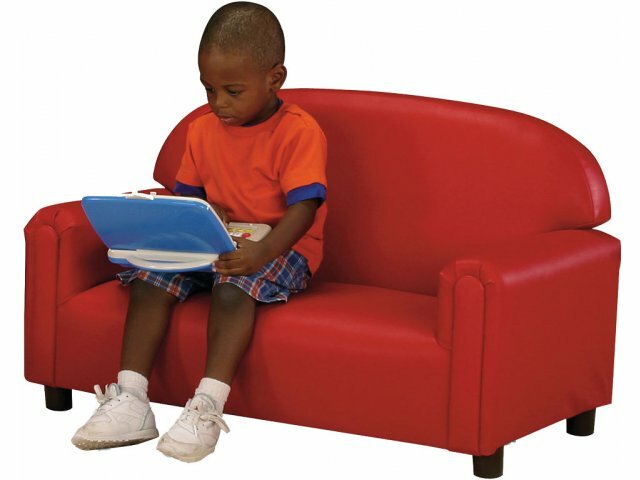 Brand New World's products are designed with the belief that lifelong learning begins with childhood play. 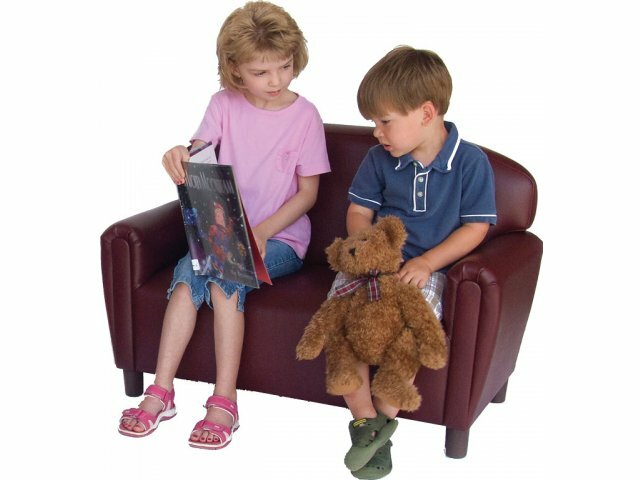 Their "just like home" toddler and preschool chairs, sofas, end tables and coffee tables are built to the highest standards, and encourage youngsters to develop their imaginations through make-believe play. Designed with safety and durability in mind! 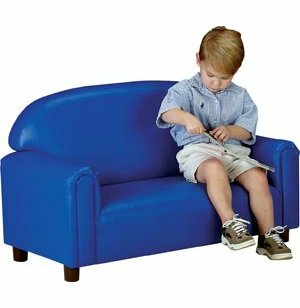 Durable Vinyl upholstery is easy to clean and disinfect. Meets CAL 117 specifications and CPSIA standards.